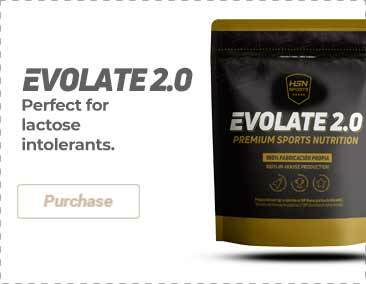 Intra-workout formula with BCAAs, glutamine and caffeine. What is Scitec Nutrition Amino Charge? Amino Charge by Scitec Nutrition is a powdered dietary supplement with branched amino acids and glutamine as essential active ingredients, with sweeteners. The recommended dose for this intra-workout is to mix 19g of product with 500ml of water in a sports shaker. One of the main characteristics of this complement is found in its formulation, in which all the essential amino acids are found, among them, BCAAs. Essential amino acids (Histidine, Isoleucine, Leucine , Lysine, Methionine, Phenylalanine, Threonine, Tryptophan, Valine and Alanine) are vital for our body, with the particularity that these cannot be synthesized by our organism, so that they must be obtained by means of external resources, either by foods with a high content of proteins that contain them, or by food supplements such as Amino Charge. 3. Glade MJ. 'Caffeine-Not just a stimulant.' Nutrition. 2010 Oct;26(10):932-8. doi: 10.1016/j.nut.2010.08.004. L-citrulline, L-glutamine, L-leucine, acidity regulators (DL-malic acid, dipotassium hydrogen phosphate), L-isoleucine, L-valine, L-arginine hydrochloride, L-tyrosine, flavouring (apple), L- Lysine hydrochloride, sodium chloride, L-histidine, L-methionine, L-phenylalanine, L-threonine, soy lecithin, sweetener (sucralose), anti-caking agent (magnesium stearate), caffeine anhydrous, L -theanine, L-tryptophan. May contain traces of milk and its derivatives, egg, gluten, soy, nuts, celery, fish, crustaceans and products made of crustaceans. Mix one serving (19g) with 500ml of water and take it during physical exercise, once a day. Nutritional supplements should not be used to replace a balanced diet. Do not exceed the stated recommended daily dose. Once opened, store in a cool (under 25ºC), dry and dark place. Keep out of reach of the smallest children. It contains caffeine [(100mg/1 serving (19g)]. Not recommended for children nor pregnant or lactating women.